Big Data solutions firm Dataguise Inc. has announced that their DgSecure solution for global sensitive data governance now supports data discovery on Amazon Redshift and Amazon RDS, as well as Amazon Simple Storage Service. Support for Amazon products was announced at the AWS re:Invent conference in Las Vegas. The company explained that the newly launched support allows organizations to tap into the data processing power and efficiencies of the AWS cloud to maximize the business value of their information while maintaining total ownership of all known and unknown sensitive data. 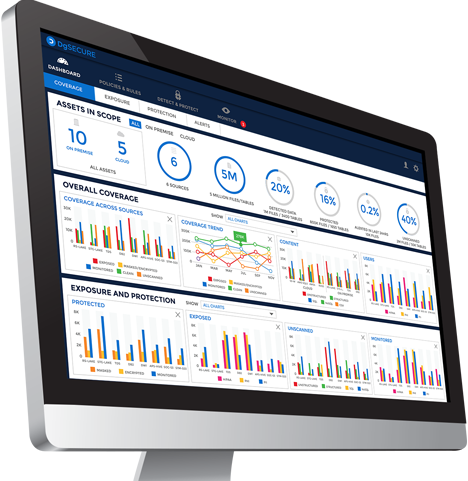 The DgSecure product itself is designed to assist data-driven enterprises to move to the cloud with fewer problems by detecting, protecting, auditing, and monitoring sensitive information across both cloud-based and office-based environments. DgSecure for AWS is said to now scan for sensitive information stored on Amazon Redshift, RDS, and S3 and also provides ongoing monitoring of sensitive data in S3 throughout its lifecycle. Included in the solution is transparent, role based sensitive asset provisioning on the Amazon Elastic Map Reduce platform so that those utilizing it are given access to sensitive data hosted in these environments through DgSecure role-based access policies. “Many enterprises are moving to the cloud to take advantage of the reliability, scalability and agility provided by AWS,” Dataguise Vice President of Marketing and Business Development JT Sison said in a statement sent to SiliconANGLE. More and more companies are moving to cloud, of course. IDC predicts that 43 percent of organizations expect to have the majority of their IT capability delivered through the cloud within 5 years, with 78 percent saying they would be using some form of cloud services. Dataguise DgSecure steps in by making sure any move to the cloud remains compliant with privacy and regulatory requirements by allowing companies to keep track of all the data across the enterprise and to make sure that it does not go astray or even falls into the wrong hands.